Fresno State Campus News | CSU Learn is here! CSU Learn provides employees access to more than 75,000 online courses, books and videos, required compliance trainings and on-campus professional development workshops. 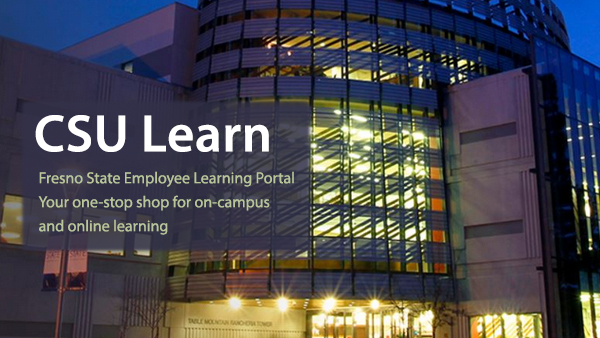 Links to CSU Learn are available in PeopleSoft under "Employee Self Service/Learning and Development" and on the websites for Organizational Excellence and Center for Faculty Excellence. A 2-minute video tutorial provides a quick overview of the CSU Learn Dashboard and can be viewed here. Once you’ve had a chance to look around the site, if you would like in-person training, register for an Explore the Fundamentals of CSU Learn workshop here. Workshops for Managers will be available in March. Short online video tutorials will be also be available on the CSU Learn website in early February. 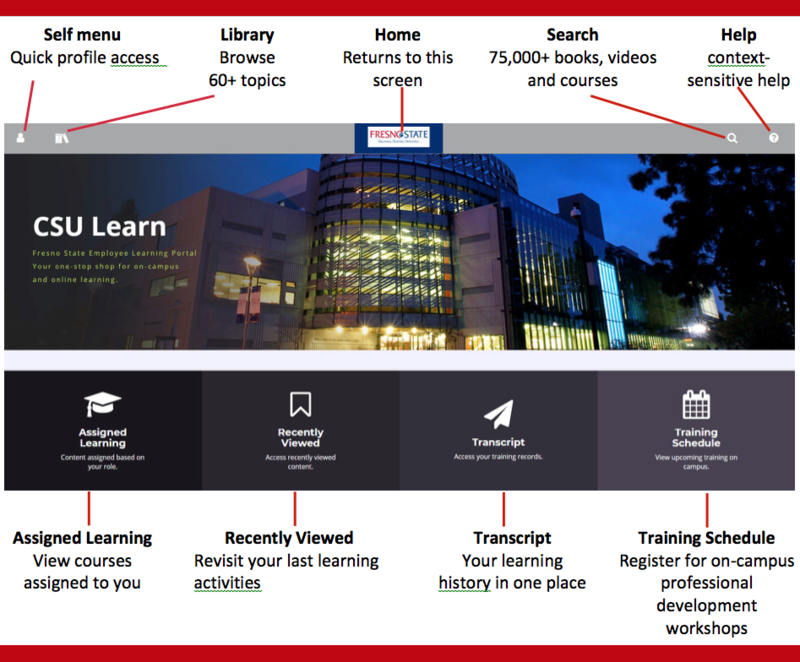 Online courses, books and videos: are available in the CSU Learn library and via the search feature. New employees will automatically receive email notifications with a link to complete their respective compliance courses shortly after their start date. New employees who started in January 2019 will automatically receive email notifications mid-February to complete their respective compliance courses. Existing employees will automatically receive email notifications with a link to complete required compliance courses as outlined on the fixed date schedule below. 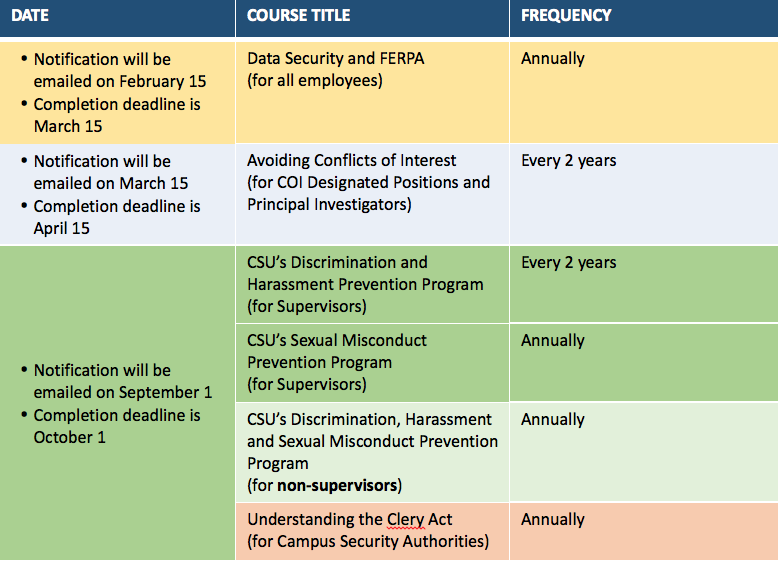 Detailed information on all CSU compliance course requirements can be found here. For questions, contact Suzanne Shaw at 559.278-2083 or csulearn@csufresno.edu.